"should I rent furniture to sell my property faster?" Is furniture rental suitable when dressing a property to sell ? The value, costs and benefit of furniture rental or furniture hire to dress empty property vary. 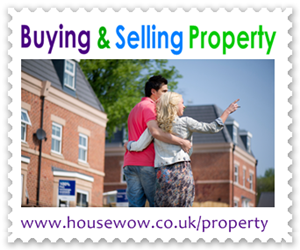 We discuss the issues to consider and options available to dress a property with wow factor to sell at the best price quickly. Whether in an area with strong property market or not, it is not worth risking the sale of your home with poor presentation and empty rooms. All property will benefit from some furnishing to draw in higher numbers of viewers and ultimately buyers to the property. Buyers respond emotively to a property. Only 10% of viewers have the vision to imagine an empty property furnished. The first impression is very important. An empty property without furniture appears cold, echoes and viewers find difficulty in visualising how and where furniture would be arranged. By presenting a property with good furniture and adding stylish accessories the property will provide a good first impression of life style. People want to live in a home and rooms look smaller when empty. 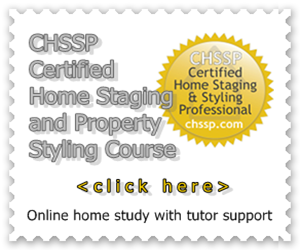 A professional Home Stager will choose appropriate furnishings, a perfect layout and add stylish accessories. Furniture rental - Can I rent small quantities? If you wish to rent small quantities of furniture or accessories it may be a similar cost to buying them. This is because of the logistics involved in packing up, delivering and installing the inventory and then a team of people coming back to wrap, collect, remove at the end of the rental period and put back into storage again. You should weigh up the benefits of having all of this done for you with fast delivery and installation and removal quickly at the end of the term compared to buying the goods and selling them on afterwards. A House Wow Home Stager can choose the best layout for furniture and a combination of furniture rental and accessory rental or purchases to suit the property and potential buyers. This professional service will cost more than if you do it yourself. However professional styling sells houses. The professional Home stager will provide the expert styling to make your property stand out from the crowd with wow factor that pulls in more viewers and motivated buyers who see a sale through to completion. Additional services for decorations, window treatments repairs and gardening are available if required. Full report available. Overseas clients or absent property owners have the option of an independent pdf report with images of the property in its current condition. Furniture rental or furniture purchase? Deciding whether to rent furniture or purchase furniture to dress your home will depend on your selling circumstances, the value of the property, the area and whether you may use the furniture again or be able to sell it onto the buyer. Property which is likely to be a first time buyer property is even more likely to benefit from the wow factor that correctly staged furniture and accessories can bring. 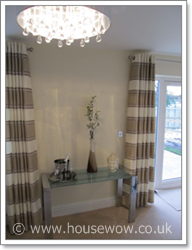 And the buyers often buy the pack of furniture when purchasing the house to keep the show home look. 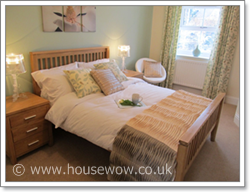 With House Wow furniture rental you have the opportunity to buy the furniture at any point and re-sell to the property buyer, should they request it. Developers or investors who are likely to use the furniture again in other properties would be better advised consider a furniture purchase option to dress the property. The cost of show home rental over a prolonged period to sell a number of houses on a housing development are unlikely to be cost effective. However for 3 months furniture rental will be cheaper than a purchase and at 6 months is likely to break even with the price of buying the show home furniture and finishes. Decorations and window treatments can be added as an additional service. Sellers who prefer to have the furniture and dressing installed professionally and removed at a time convenient to them would be best advised to consider furniture rental. 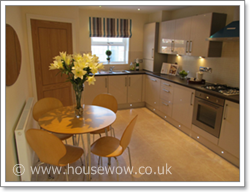 A specialist furniture rental company, such as House Wow, can style effectively for the property sale, choose and install the furniture and remove it later when the property is sold. Time and money can be saved by handing the furnishing task over to the professionals. House Wow® can buy custom pieces of furniture to suit the style of house and create the correct ambience for classic, eclectic or contemporary furniture styles. Furniture rental styles for furnishing the lounge, drawing room, dining room, bedrooms, kitchen, bathrooms, en-suite, family room, conservatory, cinema room, wine cellar, home office and more can be accommodated. Property sellers may need to keep the rental furniture in place for 3-6 months depending on housing market factors and speed of sale to exchange of contract and completion. It's not a good idea to empty the property after a buyer makes an offer, and we would advise to retain the whole look and feel of the property until the sale completes. Furniture rental packages can be turned around within days. Additional work for curtain treatments, decorations etc will take longer. It's possible to compare prices for furniture rental or furniture hire with a furniture and styling purchase option. Buying a complete home furniture pack or new home starter furniture pack can be less than you think and means that you keep the furniture as long as needed. The cost of renting a full room lounge set with furniture and accessories and 1 bedroom fully installed and styling ranges from £500 per month plus VAT. See more options here. House Wow may also consider a buy back option where furniture has only been used in an un-lived in property. 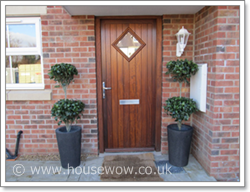 The furniture and accessories which House Wow® supply gives the property the essential wow factor and buyer appeal required for selling. Wow factor and buyer appeal have been shown time and again to achieve a faster sale closest to or above asking price. A well presented property will receive more competitive interest and this affects offer price and commitment to a faster, less troublesome sale. 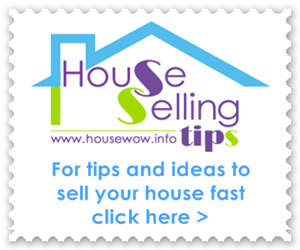 Estate Agent's know that they can sell property faster and for a higher price when it is furnished and well presented. They are likely to value it higher and more likely to consider your negotiation on fees if the property is styled to sell rather than empty. Ask their opinion and check the fee structure. 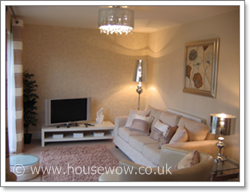 House Wow Stylists have dressed many properties with furniture and accessories in order to sell property quickly. 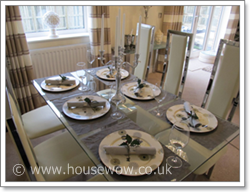 House Wow® offer various furniture hire options, check out our furniture rental examples for more details and contact us for a furniture rental or furniture purchase quotation. 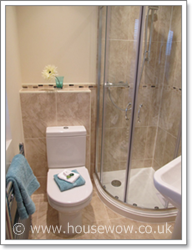 If we cannot offer you what you need then we will put you in touch with a partner who can. If you found this furniture rental article useful why not share it?